Whoosh! On its four wheels, the bucket zips across the meadow. Where is the next sandpit? 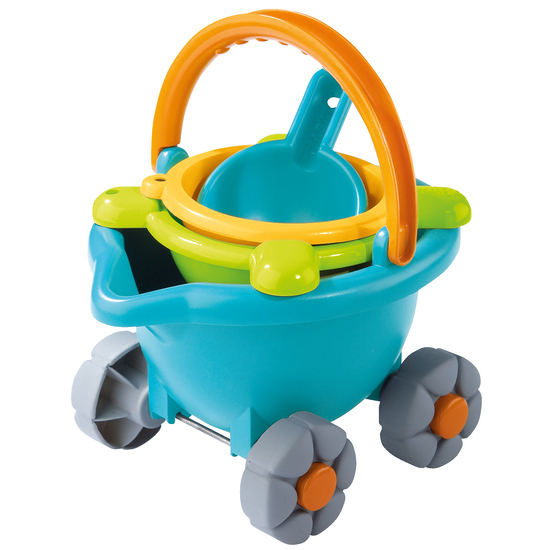 Contents: 1 bucket-cart, 1 sieve, 1 sand car mold, 1 sand trowel.